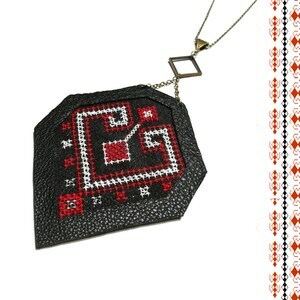 This unique ethnic necklace was inspired by the traditional Romanian motifs. 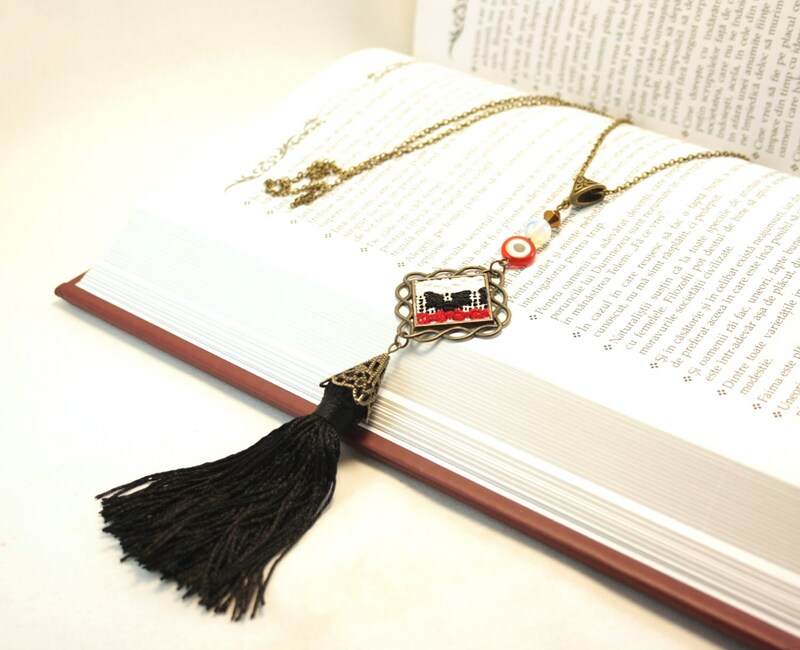 It has a handmade embroidery on a brass frame, a black tassel, glass and acrylic beads and brass metallic accessories. 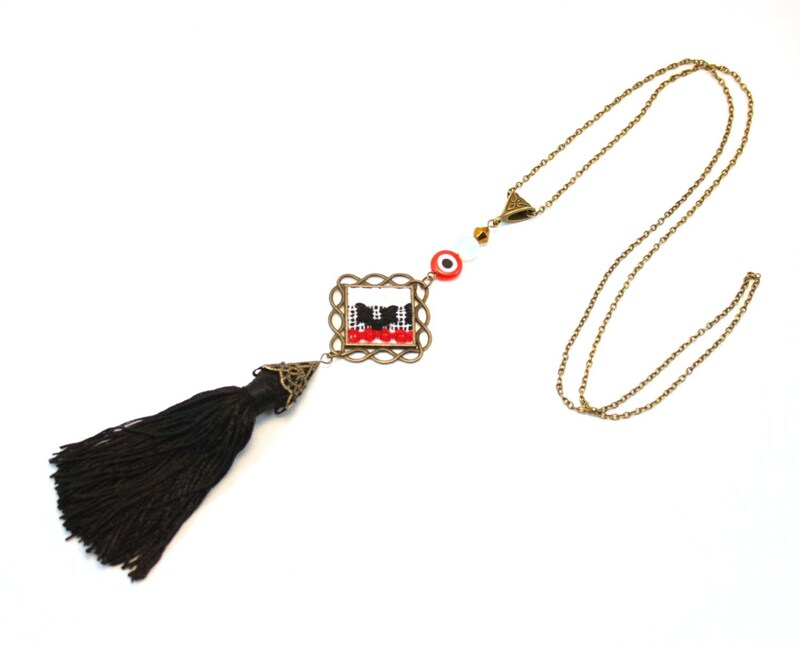 One of a kind, eye catching necklace, part of the "Urban Folklore" Collection. All my packages come GIFT WRAPPED in hand-painted paper, with no extra charge, so they can be great gifts for someone special or nice treats for yourself. 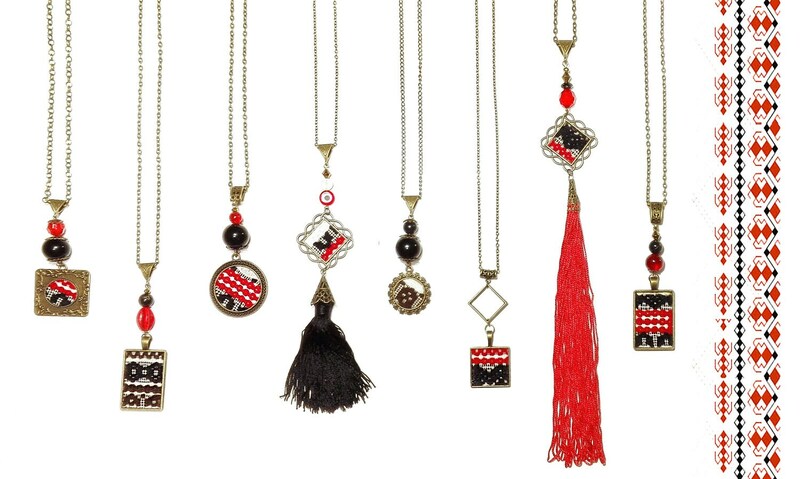 Find out first about new collections, sales and behind the scene stories! 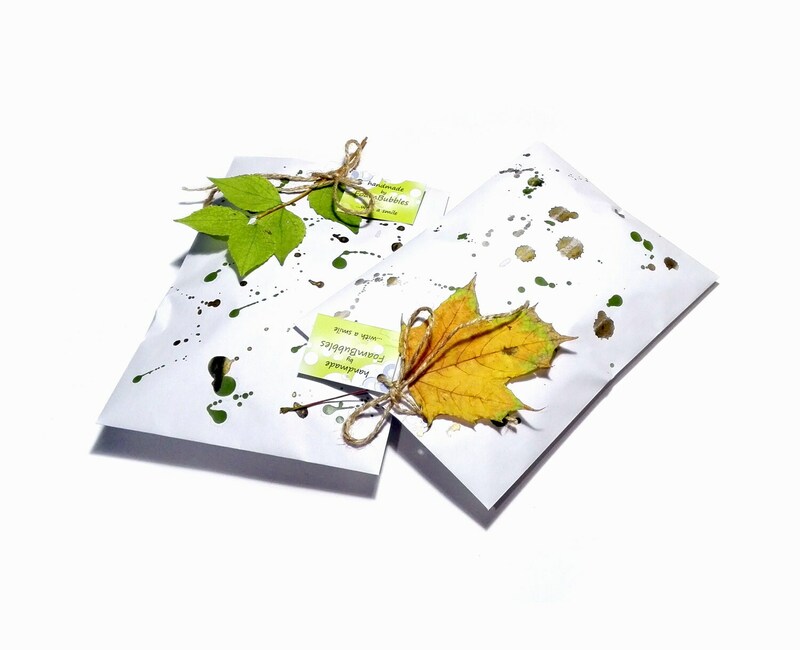 Get 20% OFF your first order, if you subscribe to our newsletter. Click on the link below. You'll receive the discount code on your e-mail. If you're ordering from Romania and want to pay when you receive the package, please contact me before you order. [Daca esti din Romania si vrei sa platesti ramburs, la ridicare coletului, te rog sa ma contactezi inainte de a face comanda].